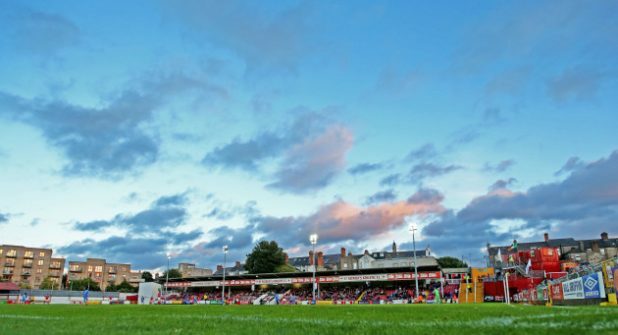 It is looking increasingly likely that the St. Patricks Athletic football club will not succeed in their plans to develop a new 12,000 seat stadium and commercial quarter at the St. Michaels Estate site. Instead a public-private partnership has unveiled a plan for 470 houses at the site. The houses will be a mix of “social housing” and “cost rental” housing, with Minister Eoghan Murphy arguing that the building of homes was a governmental priority, and that he expected there to be “a lot of stakeholder support” for such a project. Of the 470 homes planned, 330 will be part of a “cost rental” scheme. Such a scheme ensures that the rent paid will cover the cost of the construction and maintaining it rather than trying to maximise profits. A spokesperson from the department of housing said that the Cost Rental model may be able to offer rental accommodation at 25% below current market value. St. Patricks Athletic chairman Tom O’Mahoney said that he was “very disappointed” that the stadium proposal is now unlikely to happen. However, he said that St. Patricks Athletic would be actively involved the public consultation phase and that the club “has a responsibility” to the local community to ensure the best results for everyone. Details are scarce in regards to when the public consultation will begin, but a project management team will be in place by October in order to to begin the planning phase. The Fountain Resource Group will keep people up to date with any further development.